You will leave the port by coach to Ho Chi Minh City for visit of the Museum of National History, situated at the entrance to the Botanical and Zoological Gardens. The museum was built in 1929 and houses many artifacts chronicling Vietnam's 4,000-year history. You will be able to admire its ancient ceramics, traditional costumes, and stone and bronze relics. Here you'll also enjoy a show with many interesting acts. 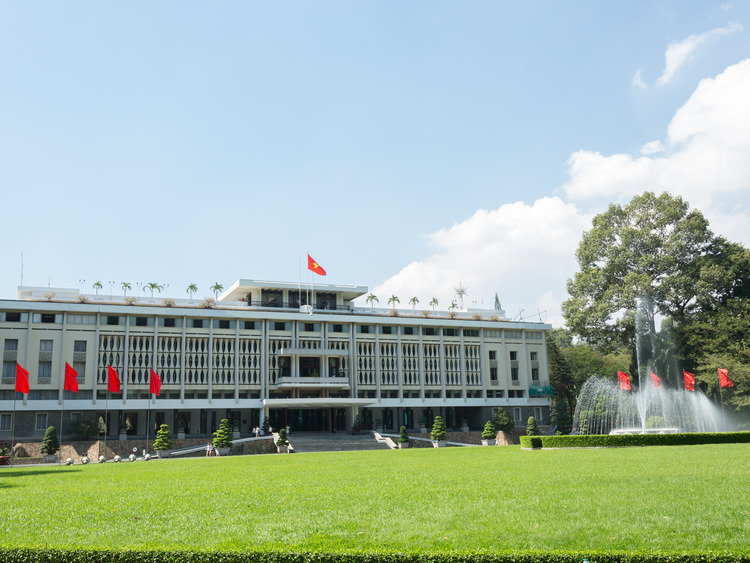 Your next stop will be the Reunification Palace(outside visit), formerly known as the Independence Palace, where on 30 April 1975 a North Vietnamese tank crashed through the front gate, symbolically liberating the country. It was rebuilt and completed in 1966 on the site of the Norodom Palace that was bombed in 1962. You will then enjoy a panoramic city tour with outside views of the neo-Romanesque Notre Dame Cathedral, the colonial-style Central Post Office and City Square, where your driver will stop to allow you take photographs. Next you will continue to a local restaurant, where you will enjoy a lunch of delicious Vietnamese dishes. After lunch, you will visit a lacquer workshop, where you will watch the skilled craftsmen at work before having the chance to take a look at the many items for sale. Then, you will visit Chinatown, west of the business district. It built from 1788 by the city's Chinese and Vietnamese inhabitants and was previously called Cho Lon (Big Market). Here you will visit the famous Thien Hau Pagoda, dating back to the eighteenth century and dedicated to Lady Thien Hau, the Chinese Goddess of the Sea. The pagoda houses beautiful ceramic figurines and a scale model of a boat, commemorating the arrival of the first Chinese from Canton. Finally you will have some free time for shopping at B?n Thanh Market before returning to the ship. This is the most crowded and interesting area of Ho Chi Minh City, which caters to both the daily needs of the local people - with products such as fruit, sweets, tobacco, clothing, hats and household goods - and tourists, with souvenirs including handicrafts, wooden items and T-shirts. Our tour begins with the History Museum, found at the entry to the Botanical and Zoological Gardens. The museum, which opened in 1929, houses a collection of relics which portray the advancement of the Vietnamese population during its 4,000 year history: ancient ceramics,traditional costumes, stone and bronze relics which tell the history of this population. After our visit, we will watch a short and lovely local folklore show. We will then visit the Independence Palace from outside, reconstructed and completed in 1966 at the place where the Norodom Palace stood and which was bombarded in 1962. On 30 April 1975, a North Vietnamese armed tank burst through the main entrance, symbolising liberation of the country. The next stage is the lacquer production laboratory, where we will see expert craftspersons working and we will have the possibility to purchase the objects being sold. We will finish up the morning with lunch in a local restaurant, where we can taste the delights of Vietnamese cuisine. After lunch, our tour continues with a visit to the quarter of Chinatown,to the west of the city centre. In this ancient quarter, once called Cho Lon (Large Market) which was built by the Vietnamese and Chinese in 1788, we will visit the famous Chinese Pagoda or Thien Hau Pagoda, dedicated to Thien Hau, the Chinese Sea Goddess. The pagoda, built in the 18th Century, houses a marvellous collection of ceramic statuettes and a scale model of a vessel used by the first Chinese people originating from Canton. At the end of the tour, we will have some free time for shopping in the centre's shops and in the Ben Thanh Market**, where we can find the most varied of items such as clothing, hats, foodstuffs and homeware, as well as evidently, many locally produced souvenirs.